PediFix Pedi-Quick Safety Corn & Callus Removal Trimmer Blades will help smooth feet and keep them free from toughened skin. 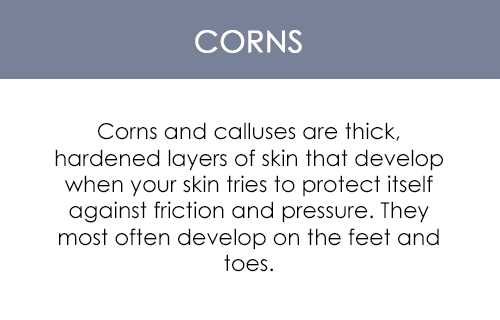 As we walk, our feet naturally build up hard skin (calluses and corns) for protection against friction and pressure; and unfortunately, this could lead to foot pain and unattractive feet. With the help of PediFix Pedi-Quick Safety Corn & Callus Removal Trimmer Blades, you can give yourself a professional pedicure at home and leave your feet smooth, attractive, and free of foot pain that is caused by calluses and corns. These reversible blades can easily be placed in the PediFix Pedi-Quick Removal Trimmer. Merchant Note: Do not use this product if you have diabetes, any circulatory disorders, poor eyesight, or poor hand-eye coordination. Only for corns and calluses - do not use on foot warts. Visit a foot health specialist if symptoms continue. Keep out of reach of children and pets.